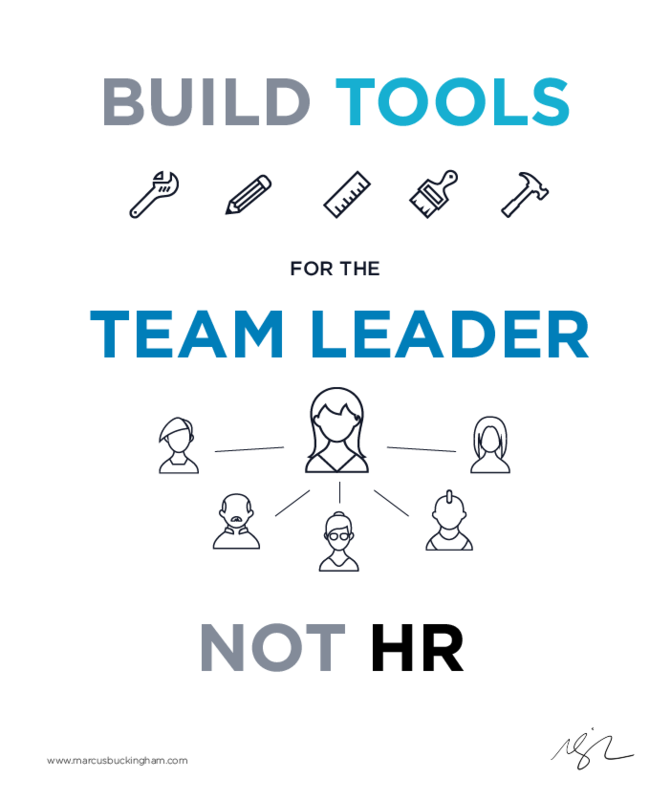 Yet the tools that we’ve built for HR don’t serve the team leader – they’ve been built to serve the organization. And as a result, they don’t serve anyone. Look at employee engagement systems, for example. Most involve deploying a survey to locked-in boxes on an org chart in the first six weeks of the year. Six weeks later, the data comes back, again arranged by these very theoretical and not at all realistic org chart boxes, and it’s given to the team leader. Wait – that would be too easy, right? It’s not given to the team leader, it’s given to the HR function. They clean it up and hand it off to the CEO, who passes it down to the person below him or her, and on and on until finally, three or four months later, the team leader finally gets to see this data. This data that belonged to them all along. By the time the manager receives it, their team structure has changed. Their goals have changed. And most likely, their employee engagement has changed. When the data gets to the team leader, it is old, unhelpful, and inaccurate. 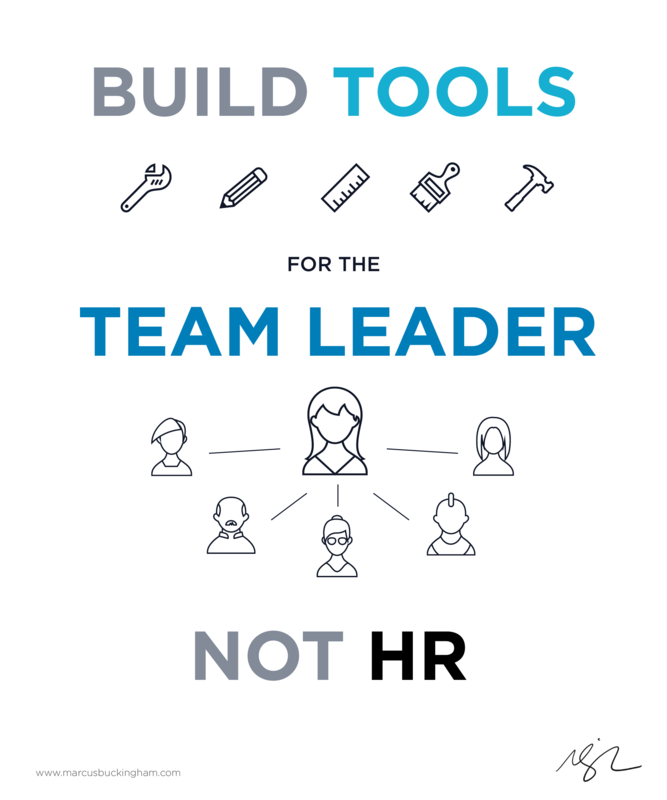 In the future, all employee engagement tools should be built to serve the team leader. Because that’s whose data it is, and that is who can make engagement better. Completely agree with this philosophy. We live in a digital and networking era, where information and technology are continuously changing at a rapid pace. HR leaders need to fuel their leaders and front line people with the tools and resources needed to perform at excellence. The problem with most organizations is the old structure and systems they are running on. Change is difficult, but times are changing right before our eyes. It is important now, more than ever, for leaders to embrace this philosophy. Inspire and engage and you will bring out the best in people. I see two errors in this article. First HR has and will only ever exist to keep a company from losing a lawsuit to an employee and to keep the corporate executives out of prison. Second, any functional corporate organization will only take place at levels well below the C-Suite. Any successful manager will know these facts and plan her/his work accordingly. According to the 2014 Census, firms with less than 20 workers made up 89.4 percent of businesses in the US, and I see that the major function of HR is to attract, train and retain employees. The attitude of keeping anybody out of jail is a reflection of the values and beliefs of the companies and the people they attract. As for a majority of corporations, HR is suppose to be the keeping the pulse of the company and is functional at the C-Suite. Usually, the C-Suite is multi-disciplined in areas such as business development and HR or Operations and HR. Companies have become lean, and some outsource to an HR, where these companies rely on these PEO companies to provide correct guidance and operations within the law, if that is a concern at all.